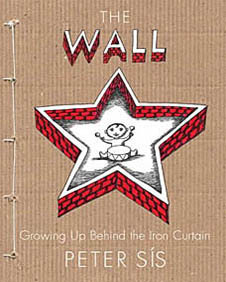 The Wall by Peter Sis is a spectacular, highly illustrated auto-biographical story of what it was like to grow up under Soviet rule behind the Iron Curtain in Czechoslovakia. Created in an almost graphic novel style, Sis makes the period come alive through his own personal experiences and observations. This book would definitely NOT work as a read aloud, but is guaranteed to wow solo readers. 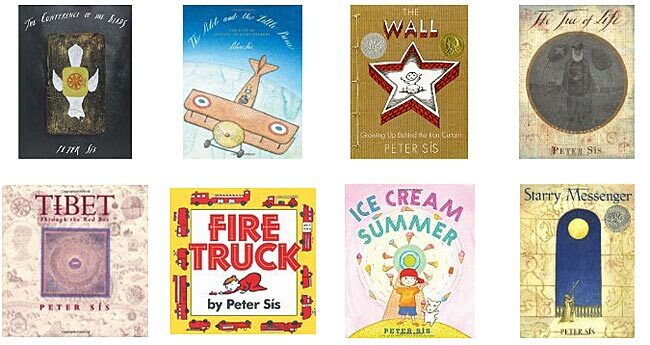 But put it in your class library or recommend it to your kids so they can POUR over each detailed illustration. 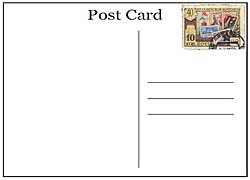 This book makes for a mesmerizing read any time of the year, this book would be ideal for supplementing units of 20th century world history, particularly when teaching about the Cold War era. Below are selected illustrations from inside The Wall, showing the intense interest that young people behind the Iron Curtain had for western/American music, fashion, and culture. 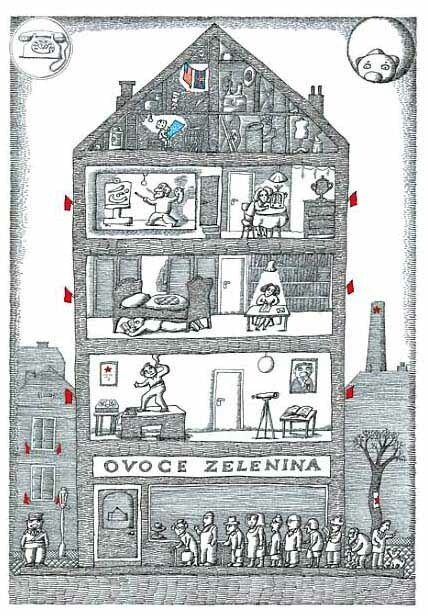 In this first illustration of a house, people are secretly engaging in western culture and expressive works (ie: painting) in the privacy of their own homes -- plus one resident is spying on the other residents. 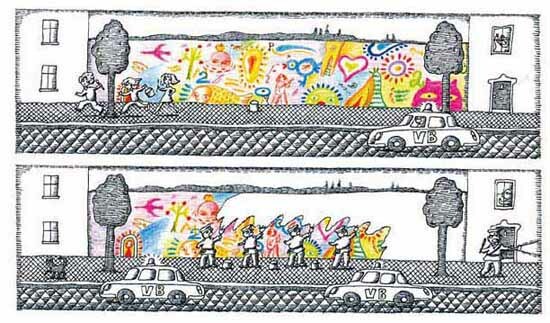 The below to illustrations are part of a larger spread that shows young people painting colorful peace murals which continually get painted over by the authorities. 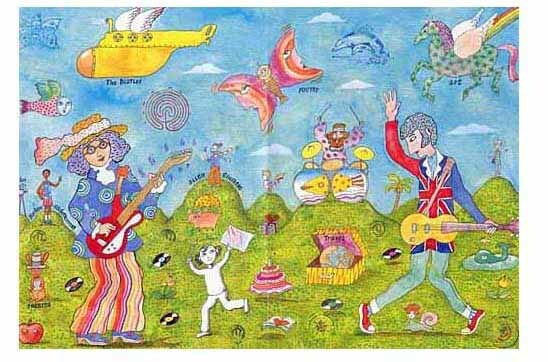 And lastly, below is a visualization of the colorful, youthful dreams of the author and his friends who formed underground bands, listened to Western music, and wore western clothes...often a great risk!